Approximately 20 percent of first-year students at Harvard and Yale identify as something other than heterosexual. More freshmen at both Harvard and Yale identify as LGBTQ than as politically conservative, according to surveys published by the universities’ student newspapers. According to Yale Daily News’ “Class of 2022: By the Numbers,” approximately 23 percent of the freshman class identify somewhere along the LGBTQ spectrum. This is up from 21 percent last year and 15 percent in 2016, according to the paper. At Harvard, a similar student survey in the Harvard Crimson found that more than 18 percent of the freshman class identify as something other than straight. This number has increased every year since 2014, when less than 10 percent of that year’s freshman class identified as nonheterosexual. Both surveys asked students a wide variety of questions, ranging from their religious affiliation to their birth order. When it comes to political orientation, both Ivy League universities leaned heavily to the left. 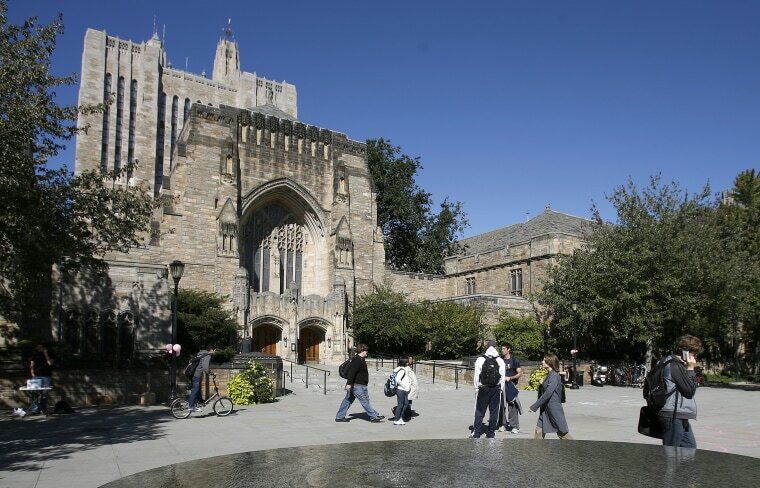 Nearly three-quarters of Yale freshmen described themselves as “somewhat” or “very liberal,” while just 10 percent identified as “somewhat” or “very conservative.” The numbers at Harvard were similar, with approximately 64 percent of freshmen respondents identifying as liberal and 12 percent as conservative. Compared to national data on LGBTQ identity and political persuasion, Harvard and Yale appear to be more liberal and to comprise a higher percentage of sexual minorities. An August report by the University of Chicago-based GenForward found 15 percent of those aged 18 to 34 in the U.S. did not identify as heterosexual, and a 2016 UCLA-based Higher Education Research Institute (HERI) survey found approximately 9 percent of college freshmen nationwide identified as something other than straight. When it comes to political persuasion, the HERI survey found 36 percent of freshmen respondents characterized their political views as “far left” or “liberal,” while 22 percent described themselves as “conservative” or “far right.” A 2018 NBC News/GenForward survey of those aged 18 to 34 found 34 percent of respondents identified as Democrats, while 20 percent identified as Republicans.